In a large pot, bring 8 cups salted water to a boil. Add linguine and cook until al dente, 8-10 minutes. 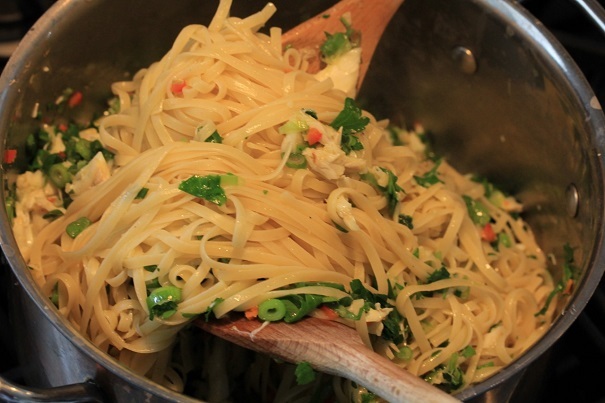 Drain well and return to pan; stir 2 tablespoons of olive oil into the linguine. Heat remaining olive oil in a large frying pan to medium heat and add onions, garlic and chili. 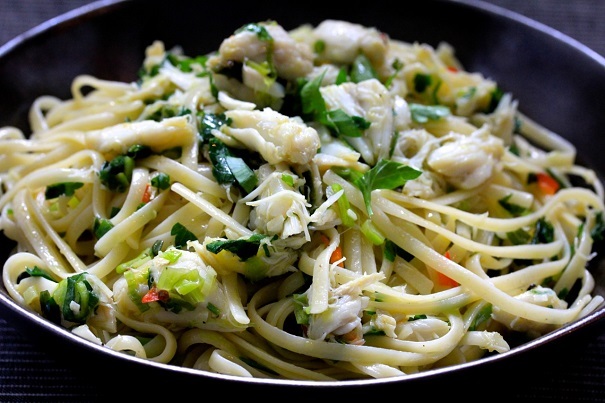 Stir in crabmeat and cook for 2 minutes, then stir in lemon zest, juice and parsley. 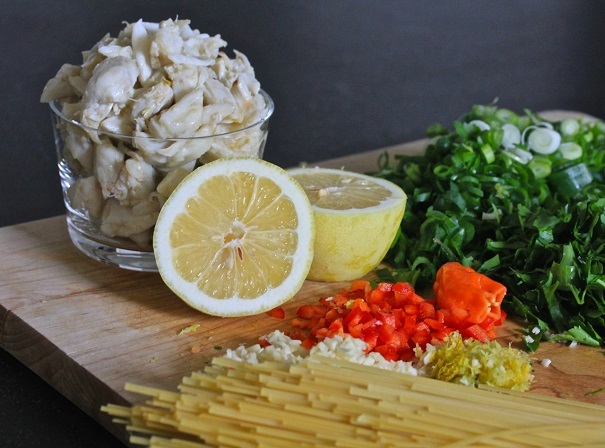 Add crab mixture to linguine and toss to combine thoroughly. Drizzle with a few drops of olive oil and serve.